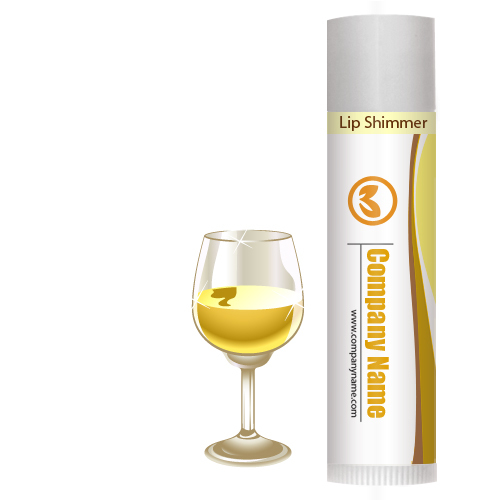 Custom white wine lip shimmer w/white tube cap elevates an user to heightened levels of pleasure and happiness during summers or winters, when it becomes difficult to crack picture perfect smiles. This lip balm adds a shiny tint to impaired lips, thereby making it appear happier, crack free, and plumper. Health Quotient – PABA free. Harsh product modulators avoided. No preservatives included. FDA approved moisturizers used. Sweetened with saccharin. Hypoallergenic. Cruelty –free. Directions – Dab this white wine legacy lip balm over lips regularly to avoid dryness. People with sensitive skin should consult GP before using this lip product. Avoid using it as a skin toner or moisturizer. Gifting Favors – Custom white wine lip shimmer w/white tube cap can be gifted during winter celebrations. It catapults joys to newer heights and boosts confidence level of people using it.